Shortly before midnight on Friday, March 4, 2016, Sister Katharine Razwad died peacefully at Boston Medical Center in Boston, Massachusetts. Katharine was 93 years young, and had celebrated her 70th jubilee as a Maryknoll Sister last year. Adele Catherine Razwad was born in Boston, Massachusetts on June 23, 1922 to George J. Razwadouskas and Katharine Zaltauskas Razwadouskas. Her parents emigrated from Lithuania, and when her father was naturalized in 1931, the family’s last name was shortened to Razwad. Adele was the youngest of their five children. The Razwad family settled in South Boston in a three-story home on E Street, where Adele and her four older siblings grew up speaking Lithuanian, and where she has resided with some of her family members since the early 1970s. Katharine is survived by her sister, Frances, who is 96, and for whom she cared devotedly and lovingly for many years until her recent hospitalization. She is survived also by two nephews and a niece, as well as several grandnephews, grandnieces and cousins. Growing up, Adele attended St. Peter’s Lithuanian Church, and graduated from St. Augustine’s grammar school and high school in South Boston. Following graduation from high school in 1940, she completed training courses at Boston Clerical Business School and worked as a secretary for two years in the legal department of the city’s Office of Price Administration. Adele entered Maryknoll at the Motherhouse on September 6, 1945. At reception, she received the religious name of Sister M. Katharine George in honor of her parents. She retained this name for most of her religious life, until the past year when she requested that it be changed to simply ‘Katharine.’ She made her First Profession of Vows on March 7, 1948, and her Final Vows on the same date three years later, both at Maryknoll, New York. In 1951, Katharine graduated from Maryknoll Teachers’ College with a Bachelor of Education degree. She taught for a year at Transfiguration School in Chinatown, New York prior to her assignment to the Philippine Region in August, 1952. At that time, the Caroline Islands were part of our Philippine Region, and these islands were where she served in mission for the next ten years; first, as a primary school teacher, and then as a school principal at Mindzenty High School on the island of Koror in Palau. Later, she taught courses at La Salette College in Santiago, Ilocus Sur, and at Maryknoll College in Manila before returning to the U.S. in 1969. For the next year, she gave congregational service at the Center where her secretarial skills were put to good use in the Admissions office, until she requested permission to move to Boston for family ministry due to her father’s failing health. After her father’s death, in 1972 Katharine completed a Master’s degree in Educational Psychology and Counseling at Boston College. She was assigned to the Eastern U.S. Region in July, 1973, and for the next fifteen years she worked for the Boston Public School system as a school counselor, and primary school teacher, and later as a substitute teacher with children who had learning disabilities. The main focus of her ministry was to assist and support children who had emotional difficulties and/or physical limitations. She established resource rooms in different city schools for those Special Education students who had been mainstreamed, and offered counseling to their families. 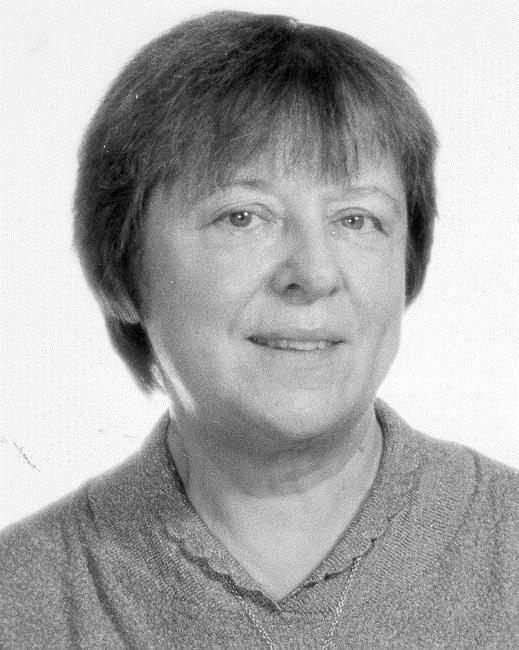 In the late 1980s, Katharine did some pastoral work as part of the evangelization program in the Boston Archdiocese. She also provided preventative family counseling and taught religious education on a volunteer basis at St. Brigid’s elementary school during the early 1990s. When she retired from teaching and counseling, she devoted herself completely for the remainder of her life to accompanying and caring at home for her sisters, Blanche and Frances, throughout their respective illnesses. During these more than 40 years of varied ministries and family obligations in Boston, Katharine enjoyed her occasional visits to Maryknoll, and looked forward to the opportunity to get together with the Sisters in the Eastern U.S. Region at our annual assemblies. However for the past several years, she was unable to leave her sisters alone even for a few days at a time, and so could not travel to the Center or attend any of our regular area meetings or regional gatherings. Her prolonged absence from community was a loss for all of us, as well as for her. In spite of Katharine’s lack of physical contact with us for this extended period of time, she often spoke of her great love for Maryknoll, and tried to stay connected through phone calls and by sending us greeting cards on special occasions. We are especially happy to welcome Katharine’s nephews Joseph and Robert Rukstalis, Robert’s wife Barbara, and Katharine’s niece and godchild, Judith Newman, and all who have made the trip from the Boston area to be with us for today’s liturgy. We also welcome Fr. James Noonan, MM, our Maryknoll brother, who will celebrate this Mass of Christian Burial for our sister, Katharine.